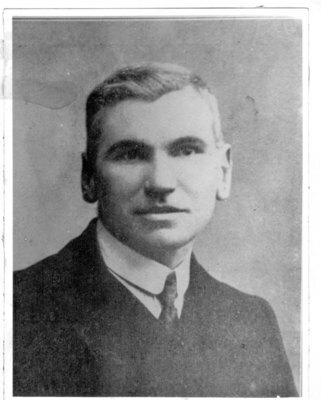 Maclean was a teacher and an activist within the Co-operative Movement which led him into revolutionary socialism, working with others on the left. Like Maxton, he was strongly opposed to the First World War, seeing it as an imperialist war against the interests of the working classes. 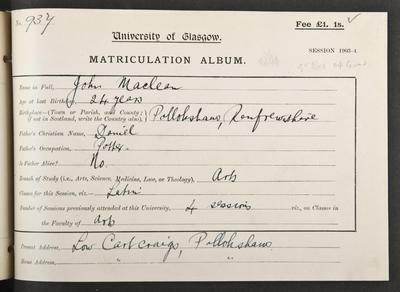 He was arrested under the Defence of the Realm Act, sacked from his teaching post in Govan, and sent to prison in 1916, but released the following year. "No human being on the face of the earth, no government is going to take from me my right to speak, my right to protest against wrong, my right to do everything that is for the benefit of mankind." 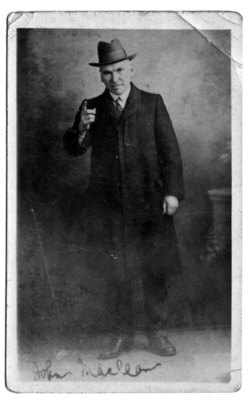 In April 1918, he was arrested for sedition and conducted his own defence at his Edinburgh trial, during which he bitterly attacked the capitalist system. He was sentenced to five years in Peterhead prison, where he embarked on hunger strikes, was force fed, and his health deteriorated until his release in December 1918, after the Armistice and a campaign to free him. As a Marxist disciple and a supporter of Communism, he had strong links with the Bolshevik revolution in Russia but he could find no radical left party that matched his own ideals and he attempted to found a Scottish Communist Party, without success, before forming the Scottish Workers Republican Party, linking Communism with Scottish independence. As a result, both nationalist and socialist movements of later times have claimed his as one of their own. His memory has been sustained through a variety of songs and poems that reflect the culture of Red Clydeside. Maclean, John. 1978. In the rapids of revolution: Essays, articles, and letters, 1902-23. Edited by Nan Milton London: Allison and Busby. World Changing Project, "Leading the Red Clydeside movement," in University of Glasgow World Changing (University of Glasgow, 2010); http://www.worldchanging.glasgow.ac.uk/article/?id=107 (accessed April 26, 2019). World Changing Project. "Leading the Red Clydeside movement." In University of Glasgow World Changing. University of Glasgow, 2010. http://www.worldchanging.glasgow.ac.uk/article/?id=107 (accessed April 26, 2019). World Changing Project. "Leading the Red Clydeside movement." University of Glasgow World Changing. University of Glasgow, 2010. 26 April 2019 <http://www.worldchanging.glasgow.ac.uk/article/?id=107>.